Mafabi went to sleep every night with an empty belly on a smelly, grass mattress. But that wasn’t his biggest problem. His parents were dead, his uncle’s wife abused him, and he was left with no one. More than food in his belly and a comfortable bed, all Mafabi wanted was the love of a family. When Mafabi came to the Matibo Kinship, he was malnourished and depressed. Physically and emotionally starving. 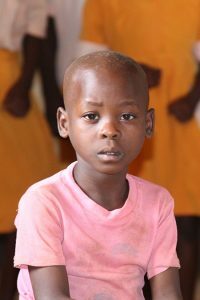 He joined the 24 children currently under 24/7 care at Matibo. 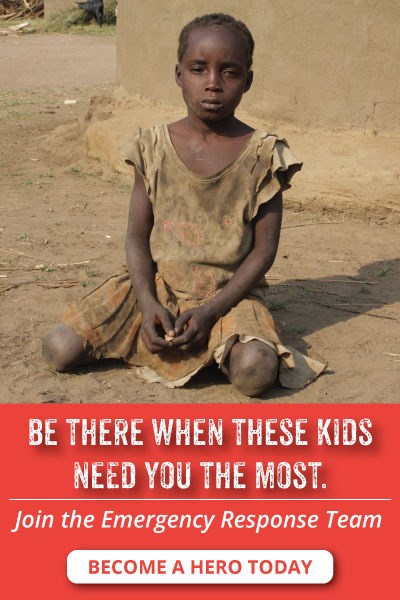 The Kinship longs to take good care of Mafabi, and the dozens of other children. 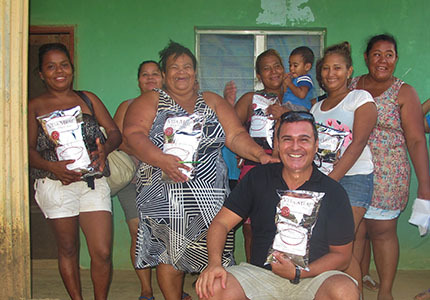 They visit desperate widows in their community and share the Gospel with their neighbors. But they want to do so much more. And they can, with your help. 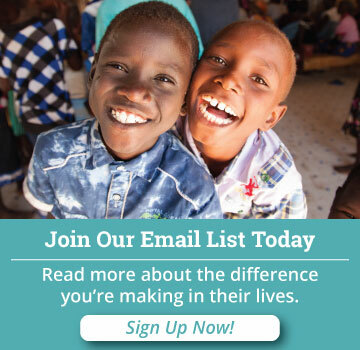 Will you commit to give $100/month to help them meet the recovery needs of the children they serve, and save more women and children? This Kinship needs 10 partners to join them at $100/month. Can you do it? Become Matibo Kinship's New Partner! Have you ever been to Honduras? It’s one of the top short-term mission destinations, so chances are, you have! But I doubt you’ve been to this side of Honduras. The part of the country where Dole Food Company’s (you know, pineapples and bananas) 100-year lease on the land just expired. Or where mountain villagers have never traveled more than a couple of miles from their hometowns. This part of Honduras needs you. Kinship United is exploring a partnership opportunity in the small town of Silin. It’s a near-hopeless community, and desperately needs fresh life, and the Gospel. And because of your support, this summer, impoverished families in and around Silin are receiving food, vitamins, and lots of encouragement. You’ll be hearing more about food and medicine sent to Honduras, and more as staff visit soon to plan next steps. Please keep these growing opportunities in your prayers! Thank you! You heard Elizabeth’s cry for help, and you got her a car! She loves her new wheels and is now zipping across Kenya, safe and sound. You’re the best! Two years ago a Kinship opened its doors in Kolongolo, Kenya, a city far away from its nation’s capital, and near the famous rift valley. The Kinship church’s exterior walls are painted with children playing soccer, in homage to the city’s star soccer team. It looks like a beacon of hope and picture of carefree childhood for the battered women and children who would walk through these doors. And battered they were. Siblings whose father died and they were kicked out when their mother remarried. Others who were parentless and all their relatives had given up on them. Children and women who felt like they had no one else in the world. But then, the Emmanuel Kinship came to the rescue – along with a generous family who is making their dreams a reality. This family stepped in to partner with the Emmanuel Kinship earlier this year. Under their love and support, the Kinship now cares for 33 children, and has a brand new full service kitchen. This funding family has helped “their” Kinship establish an agricultural program where they are raising chickens, sheep, and goats. And their gifts are spilling over into the community, as the church is passionately reaching out to their neighbors, spreading the Gospel, cleaning houses for the elderly, and sharing everything they have. The Emmanuel Kinship pastor and caregivers have new life in their faces, and a fresh outlook on their ministry. Now, they know that they are not alone. Someone is praying for them, standing behind them, and meeting their needs faithfully and generously. Do you want to rebuild loving families for orphans and widows like this family did? Sign up to support one of the available Kinships with a monthly gift of any amount.